From formulaic thriller-writer Land (Dead Simple, p. 138, etc. 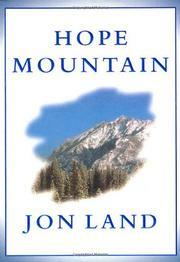 ), an inspirational holiday season novel about the disabled learning to ski. Jen, driving her brother Matt in her Jeep Cherokee, tries to beat a red light when they are hit broadside by an 18-wheeler. Matt’s leg is crushed below the knee, and when the surgeon requests permission from Jen for an amputation, she agrees. Later, both Jen and Matt think she may have made the wrong choice. Meanwhile, Jamie Brooks has been abandoned by his girlfriend, and he tries (unsuccessfully) to kill himself in the bathtub. Jamie has ruined a leg while skiing the Chute (a supremely dangerous, untended, icy, twisting ski path cut between rocks and trees) on New England’s Loon Mountain. Eight years have passed since Matt’s accident when former champion Jamie is hired as an instructor. As it happens, Loon Mountain’s ski school, attended by Jen and Matt, is fashioned fictionally after two dozen similar ski schools around the US where the disabled are taught to ski, either with a mono-ski or bi-ski. Eventually, the short-tempered Matt decides to attempt the Chute by himself on a mono-ski—but the story’s villain has strewn rocks in his way. Still, he’ll find the courage and strength to cope with his losses. Plunges you into the thrill and danger of the slopes—and may even lead the able to take up skiing.